Star athletes like LeBron James and Stephen Curry are likely popular Halloween costumes among their trick-or-treating fans -- but that doesn't mean the players themselves can't dress up, too! With Halloween landing on a Tuesday this year, celebrations across the world spanned the entire weekend as well as the first two days of the week. LeBron, for instance, hosted a costume party for his teammates on the team's off day on Monday. 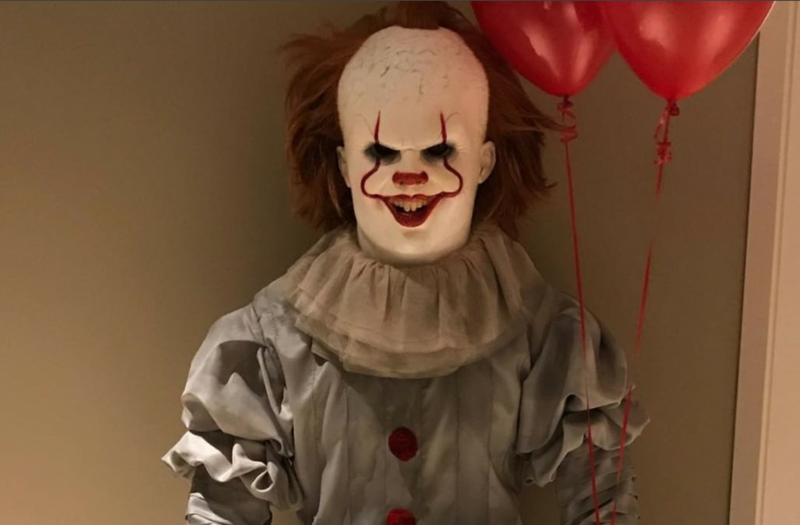 The host donned an eerily realistic outfit of Pennywise the clown from hit movie 'It' with full face paint that will haunt the nightmares of fans and opponents alike. Curry also drew inspiration from the cinema for his costume this year, dressing as Jigsaw from the iconic 'Saw' horror films -- even riding his bicycle to work to remain in character. Basketball players weren't the only ones who went all out for Halloween 2017. Retired football players Randy Moss and Charles Woodson decided to dress up as each other this year, while Tom Brady and wife Gisele went as avocado toast and Connor McDavid of the NHL's Edmonton Oilers caused a stir when he and his girlfriend dressed up as Donald and Melania Trump.